Your Horoscopes Are Here. And it’s Time to Be Boring, Leo. Free Will Astrology for the week of Oct. 10. ARIES (March 21-April 19): In his book The Snow Leopard, Peter Matthiessen describes his quest to glimpse the elusive and rarely seen creature in the Himalayas. "Its uncompromising yellow eyes, wired into the depths of its unfathomable spirit," he writes, give it a "terrible beauty" that is "the very stuff of human longing." He loves the snow leopard so much, he says, that it is the animal he "would most like to be eaten by." I bring this up, Aries, because now would be a good time, astrologically speaking, for you to identify what animal you would most like to be eaten by. In other words, what creature would you most like to learn from and be inspired by? What beautiful beast has the most to give you? TAURUS (April 20-May 20): Richard Nelson is an anthropologist who has lived for years with the indigenous Koyukon people of Alaska. He lauds their "careful watching of the same events in the same place" over long periods of time, noting how this enables them to cultivate a rich relationship with their surroundings that is incomprehensible to us civilized Westerners. He concludes, "There may be more to learn by climbing the same mountain a hundred times than by climbing a hundred different mountains." I think that's excellent counsel for you to employ in the coming weeks. GEMINI (May 21-June 20): "It is sad that unless you are born a god, your life, from its very beginning, is a mystery to you," writes Gemini author Jamaica Kincaid. I disagree with her because she implies that if you're human, your life is a complete and utter mystery; whereas my observation has been that for most of us, our lives are no more than eighty percent mystery. Some lucky ones have even deciphered as much as sixty-five percent, leaving only thirty-five percent mystery. What's your percentage? I expect that between now and November 1, you can increase your understanding by at least ten percent. 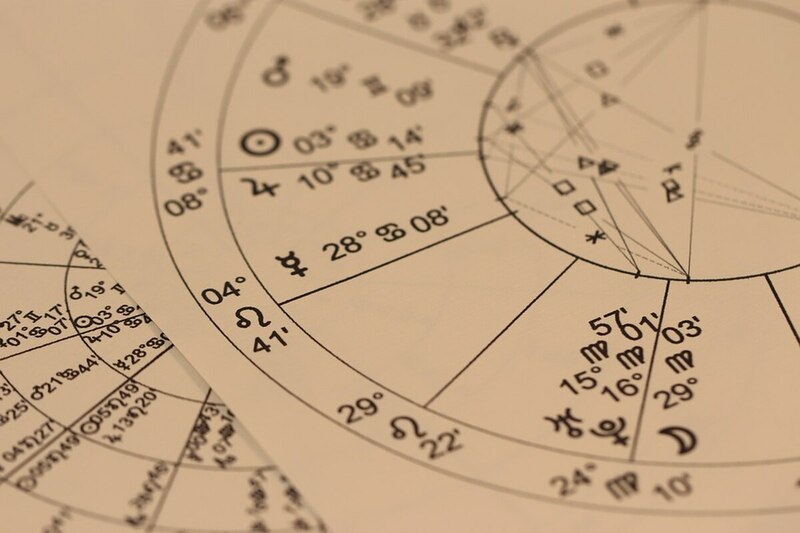 CANCER (June 21-July 22): You Cancerians may not possess the mental dexterity of Virgos or the acute cleverness of Geminis, but you have the most soulful intelligence in the zodiac. Your empathetic intuition is among your greatest treasures. Your capacity to feel deeply gives you the ability to intensely understand the inner workings of life. Sometimes you take this subtle acumen for granted. It may be hard for you to believe that others are stuck at a high-school level of emotional skill when you have the equivalent of a PhD. Everything I just said is a prelude to my advice. In the coming weeks, I doubt you can solve your big riddle through rational analysis. Your best strategy is to deeply experience all the interesting feelings that are rising up in you. LEO (July 23-Aug. 22): Do you ever experience stress from having to be so interesting and attractive all the time? It may on occasion feel like an onerous responsibility to be the only artful egomaniac amidst swarms of amateur egomaniacs. I have a suggestion that might help. Twice a year, celebrate a holiday I call Dare to Be Boring Week. During these periods of release and relief, you won't live up to people's expectations that you keep them amused and excited. You'll be free to be solely focused on amusing and exciting yourself, even if that means they'll think you're dull. Now is an excellent time to observe Dare to Be Boring Week. VIRGO (Aug. 23-Sept. 22): A Chinese proverb says, "Tension is who you think you should be. Relaxation is who you are." I'm happy to let you know that you are currently more receptive to this truth than maybe you have ever been. Furthermore, you have more power than usual to change your life in ways that incorporate this truth. To get started, meditate on the hypothesis that you can get more good work done if you're calm and composed than if you're agitated and trying too hard. LIBRA (Sept. 23-Oct. 22): My astrological analysis suggests that life is conspiring to render you extra excited and unusually animated and highly motivated. I bet that if you cooperate with the natural rhythms, you will feel stirred, playful, and delighted. So how can you best use this gift? How might you take maximum advantage of the lucky breaks and bursts of grace that will be arriving? Here's my opinion: be more focused on discovering possibilities than making final decisions. Feed your sense of wonder and awe rather than your drive to figure everything out. Give more power to what you can imagine than to what you already know. Being practical is fine as long as you're idealistically practical. SCORPIO (Oct. 23-Nov. 21): How far is it from the Land of the Lost to the Land of the Lost and Found? What's the best route to take? Who and what are likely to provide the best help? If you approach those questions with a crisply optimistic attitude, you can gather a wealth of useful information in a relatively short time. The more research you do about the journey, the faster it will go and the more painless it will be. Here's another fertile question to meditate on: is there a smart and kind way to give up your attachment to a supposedly important thing that is actually quite burdensome? SAGITTARIUS (Nov. 22-Dec. 21): In her only novel, Save Me the Waltz, Zelda Fitzgerald described her main character like this: "She quietly expected great things to happen to her, and no doubt that's one of the reasons why they did." That's a bit too much like fairy-tale wisdom for me to endorse it unconditionally. But I do believe it may sometimes be a valid hypothesis—especially for you Sagittarians in the coming months. Your faith in yourself and your desire to have interesting fun will be even more important than usual in determining what adventures you will have. I suggest you start now to lay the groundwork for this exhilarating challenge. CAPRICORN (Dec. 22-Jan. 19): Russian philosopher George Gurdjieff taught that most people are virtually sleepwalking even during the day. He said we're permanently stuck on automatic pilot, prone to reacting in mechanical ways to every event that comes our way. Psychology pioneer Sigmund Freud had an equally dim view of us humans. He believed that it's our normal state to be neurotic; that most of us are chronically out of sync with our surroundings. Now here's the good news, Capricorn. You're at least temporarily in a favorable position to refute both men's theories. In fact, I'll boldly predict that in the next three weeks you'll be as authentic and awake and at peace as you've been in years. AQUARIUS (Jan. 20-Feb. 18): In the late 19th-century, American botanist George Washington Carver began to champion the nutritional value of peanuts. His influence led to the plant being grown and used more extensively. Although he accomplished many other innovations, including techniques for enhancing depleted soils, he became famous as the Peanut Man. Later in life, he told the story that while young he had prayed to God to show him the mystery of the universe, but God turned him down, saying, "That's for me alone." So George asked God to show him the mystery of the peanut, and God agreed, saying, "that's more nearly your size." The coming weeks will be a great time for you to seek a comparable revelation, Aquarius. PISCES (Feb. 19-March 20): Every year, people discard 3.3 million pounds of chewing gum on the streets of Amsterdam. A company named Gumdrop has begun to harvest that waste and use it to make soles for its new brand of sneakers, Gumshoe. A spokesperson said the intention was to "create a product people actually want from something no one cares about." I'd love it if you were inspired by this visionary act of recycling, Pisces. According to my reading of the cosmic omens, you now have exceptional powers to transform something you don't want into something you do want.